The Cardinal Secretary of State has a big job, to say the least. But these days, he is busy with book presentations. He had one a couple days ago, for a book on people who helped Jews during WWII. Today he was at one (as was I) for a new book by Nicola Bux and Adriano Garuti, Pietro ama e unisce: La responsibilita personale del Papa per la Chiesa universale (Bologna: ESD, 2007) considering the Petrine ministry in a solidly Catholic way. Also present at today’s presentation were JosÃƒÂ© Card. Saraiva Martins (Prefect of Causes of Saints), H.E. Rino Fisichella (auxilliary of Rome) various other prelates and functionaries. The advertised presence of Cardinal Bertone was sure to bring out some of the curial workers bees, seeking face time. You can always tell the careerists of the Secretariate of State, who came in through the finishing school, from their carefully planned hair and the peculiar walk that results from shoes that are too tight. But I digress. On both occasions Cardinal Bertone spoke of Pius XII. In the first case it is an obvious thing to talk about Pius XII because of his amazing efforts to save the lives of thousands of Jews (a fact the mainstream media hates and therefore hides). Today, however, Card. Bertone mentioned that Pius XII had received an apparition of the Lord, something His Eminence clearly believed, judging from the way he spoke about it. I find it interesting that in a span of about 48 hours, His Eminence spoke at book presentations about Servant of God Pope Pius XII. Pius XII was a saint..there is no doubt about that. Consider His Papacy, and how strong and flourishing it was during His reign, and how strong it was as He left it. When He celebrated Mass, you could tell that He was totally absorbed it it. And His Masses and ceremonies were beautiful and magnificent. I am priveledged to have 3 videos from a company which has hundreds of thousands of old newsreels, and can duplicate and sell any one wants. I bought most of the collections Pius XII tapes. Watching them makes me extremely proud of this man, and the Church he ruled and the traditions He preserved. 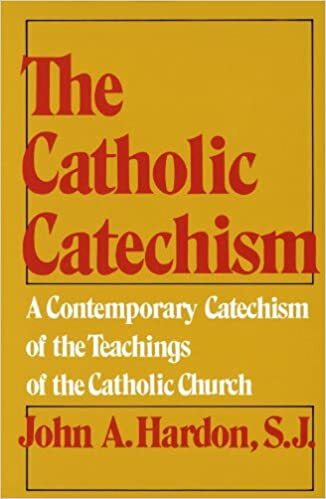 At the same time, it leaves me deeply ashamed at the level our Catholic Mass and liturgical and cultural life has sunk to the depths of mediocrity and worthlessness when I compare it to the days of Pius XII. It’s good to hear a Cardinal speak positively of Pius XII. He is a pope who in both word, deed, and actions (restoring the tridentine Latin Mass, bringing back our Catholic culture and the visual aspects of the Papacy discarded over the last 45 years), that Pope Benedict XVI would do well to immitate. Immitate the saintly Pius XII. Despite the fact that PopePius XII appointed Bugnini to his position in renewing the liturgy (then fired by John XXIII and then rehired by PaulVI) I have always admired Pius XII and even as a young schoolboy collected everything in print about him (I still have the Dec.1949 issue of Time featuring a glowing story about him and the upcoming Holy Year).He is my model of a Pope-Pastor Angelicus.I remember Pope JPII’s remarks on the anniversary of his death.He recounted his first meeting with him while a student priest in Rome.When the seminarians and priests went in to meet him with the rector then Msgr.Furstenburg they were told not to speak to the pope unless he spoke to them. Pius XII was introduced to each cleric as he moved down the line.Then he came to Fr.Wojytylla and Msgr.announced him and Pope JPII says that Pius stopped ,looked at him and began to tremble,and then raising his eyes to heaven he cried out “Praised be Jesus Christ!”.Then he moved on. I also remembered the death watch for Pius (the first time) when suddenly he recovered.Later on it was said the Pope was praying the Anima Christ when Our Lord appeared to himand restored him to health. Iwould wish they would make the videos available on Pius XII,I for one would buy them. Oh yes God bless Mother Pasqualina who seemed to have more control of the Curia then the Popes since then have had. Where is the Motu proprio? Where O where is the Exhortation?Now Benedict is taliking on the nextsynod .What about the last?Imminent! Subito! etc.etc. Thanks for fixing the comment machine. Yes, Viva il Papa indeed! But did Cardinal Bertone say anything more about the appartion? I think we are both in the same part of the country. How fares the indult masses, have you noticed if they are well attended? Mike,The indult mass at Front Royal is doing very well,the Mass at St.Lawrence has dwindled from its initial overflow crowds.The indult should have been given to my parish for we already have a NO high mass and a choir that sings the great masses and we also have an altar rail.Plus we are more centrally located.Thats why I am so frustrated with the slowness of Pope Benedict to issue the motu proprio as well as the exhortation.I think the delay in the motu proprio is annoying but the delay in the release of the exhortation 1year and 3 months after the synod ended is scandalous. The indult in washington I believe is still strong because they have a beautiful tradtionalchurch. Father McAfee, I attended the indult Mass at St. Lawrence last summer when I was back in Virginia on vacation from Israel (where, by the way, there are no indult Masses to my knowledge). I was driving to St. Lawrence from the City of Fairfax using my northern Virginia street map book. It took me over an hour to get there. I could not find St. Lawrence, even with my new maps! I don’t usually look for conspiracy theories, but I wonder. He said reports that Pope Benedict will reintroduce the Tridentine Mass, which dates from 1570 and is largely conducted in Latin, were wrong Ã¢â‚¬â€œ not least because of the Pope’s desire to avoid more controversies. A speech last year offended Muslims and more recently he gave initial support to a Polish archbishop who was eventually forced to resign, after admitting that he had collaborated with the communist-era secret police. A few years ago, an exhibition called (if I recall) “St. Peter and the Vatican” went on tour through the US, displaying various treasures associated with the Papacy. I saw the show in Houston and while the jewels and splendid vestments were all very interesting and impressive, what most moved me was the plain white cassock of Pope Pacelli. I can’t describe what I felt, except except for presence and power and an overwhelming sense of gratitude at having come face to face with that relic. IMO, the greatest pope of the 20th century — and, in view of the hatred and scorn heaped upon him and by whom, a saint, I’ve no doubt.